Dr. Ranjan Gupta is a surgeon-scientist and an Associate Professor of Orthopaedic Surgery, Anatomy & Neurobiology, and Biomedical Engineering at UC Irvine with his lab at the Gilllespie Neuroscience Research Facility in Irvine. 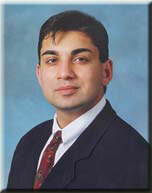 Dr. Gupta received his degrees from Rensselaer Polytechnic Institute and the Albany Medical College. He completed a surgical internship and orthopaedic residency at the Hospital for the University of Pennsylvania. He complted an NIH post-doctoral fellowship in the laboratory of Carl Brighton, MD,PhD at the University of Pennsylvania. He completed three additional fellowships at the University of California, Los Angeles (Hand and Microsurgery), the University of Berne( Trauma and Upper extremity reconstruction), and Lund University. He has published over forty peer-reviewed publications and regularly performs editorial review for seven different journals. He is currently the principal investigator on two NIH grants, in addition to substantial support from other extramural agencies including the Orthopaedic Research Education Foundation and the Aircast Foundation. Dr. Gupta's basic research focuses on Schwann cell mechanobiology and Schwann cell control of neural injury. Dr. Gupta has received a Mentored Clinical Scientist Award from NIH (2000), the Marshall Urist Young Investogator Award ($5000) from the Association of Bone and Joint Surgeons and recently has received the highest award in musculoskeletal research- the Kappa Delta Young Investigator Award ($20,000) from the American Academy of Orthopaedic Surgery and the Orthopaedic Research Society. He is currently the Co-Councillor for the Zeta Chapter of Alpha Omega Alpha Medical Honor Society at UCI. Dr. Gupta specializes in the care of the shoulder, elbow, and hand. He has a particular interest in arthritis surgery. Other areas of focus include treatment of fractures, degenerative conditions, compressive neuropathies, distal radius malunions, and brachial plexus injuries. He practices conservative non-surgical and surgical care of the upper extremity. His research interest includes both clinical and basic science. He has published studies on topics ranging from rotator cuff injuries to distal radius fractures. He is also actively involved in kinematic research focused on shoulder arthroplasty and DRUJ stability in the Orthopaedic Biomechanics Lab. Dr. Brian J.F. Wong is a Professor of Otolaryngology- Head and Neck Surgery and Biomedical Engineering at UC Irvine with his lab at the Beckman Laser Institute in Irvine. Dr. Wong received his degrees from the University of Southern California (BSBME), Johns Hopkins (MD), and the University of Amsterdam (PhD), along with an additional year at Oxford University (Wolfson College) as a Rotary Foundation Scholar. His residency and facial plastic and reconstructive surgery fellowship were completed at UC Irvine, where he has remained on faculty. He has published over 75 peer' reviewed publications, is on the editorial board of Lasers in Surgery and Medicine and Lasers in Medical Science, and performs editorial review for ten other journals. He is currently the principal investigator on three NIH grants, in addition to substantial support from other extramural agencies including the Department of Defense, State of California, and the Air Force. Dr. Wong's basic research is in thermoviscoelasticity and shape change in cartilage tissue, wound healing, and applications of optical coherence tomography in surgery. Dr. Wong has received a Mentored Clinical Scientist Award from NIH (1998), the Young Investigator Award from the American Society for Laser Medicine and Surgery (2001), the Sir Harold Delf Gillies Award from the American and Academy of Facial Plastic and Reconstructive Surgery (1998), and the Clinical Innovator Award from the Flight Attendant Medical Research Institute (2003). He has served on numerous study sections for the National Institutes of health. He is the former President of Sigma Xi at UC Irvine. 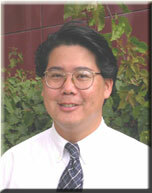 Dr. Wong is the Associate Director for the facial plastic surgery fellowship program. His clinical expertise is on rhinoplasty, vascular malformations, and trauma reconstruction. His clinical research is on facial beauty, ethnic rhinoplasty, and revision rhinoplasty. He is a team doctor for the UC Irvine athletic teams handling maxillo-facial trauma and serves in a similar capacity for Concordia University and other local schools. He currently supervises four post-doctoral fellows, a research specialist, and numerous graduate students, residents, medical students, and undergrads in his labs.